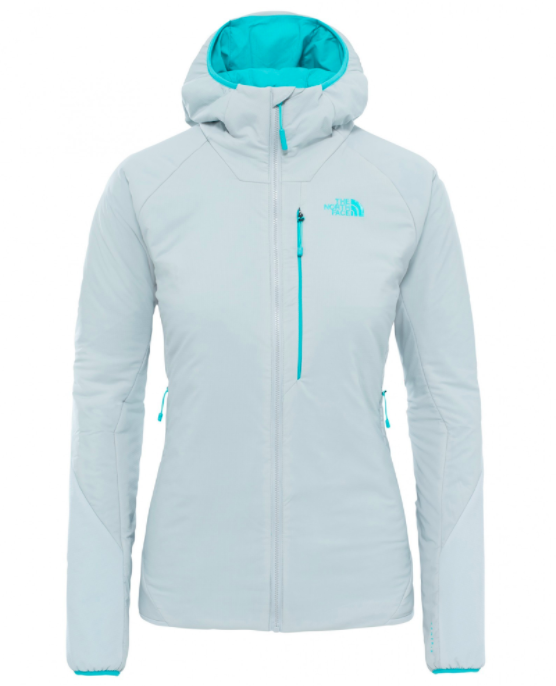 “I am looking for a lightweight, breathable, insulated mid-layer for ski touring and other winter adventures in the mountains. I have been using fleece as a mid-layer for years but am looking for something more technical that fits under a shell and can also work as an outer layer when required." "I enjoy ski touring, alpine skiing, mountain running and winter hikes - any sport that involves moving at speed in the mountains." The new generation of insulated mid-layers are a response to an increased demand for more versatility within the layering system. Providing targeted warmth, durability and breathability in the areas that where they're needed most, a good insulated mid-layer can be worn all day, reducing the need for frequent stops to faff with gear and generally enabling smoother, more efficient progress on the mountain. 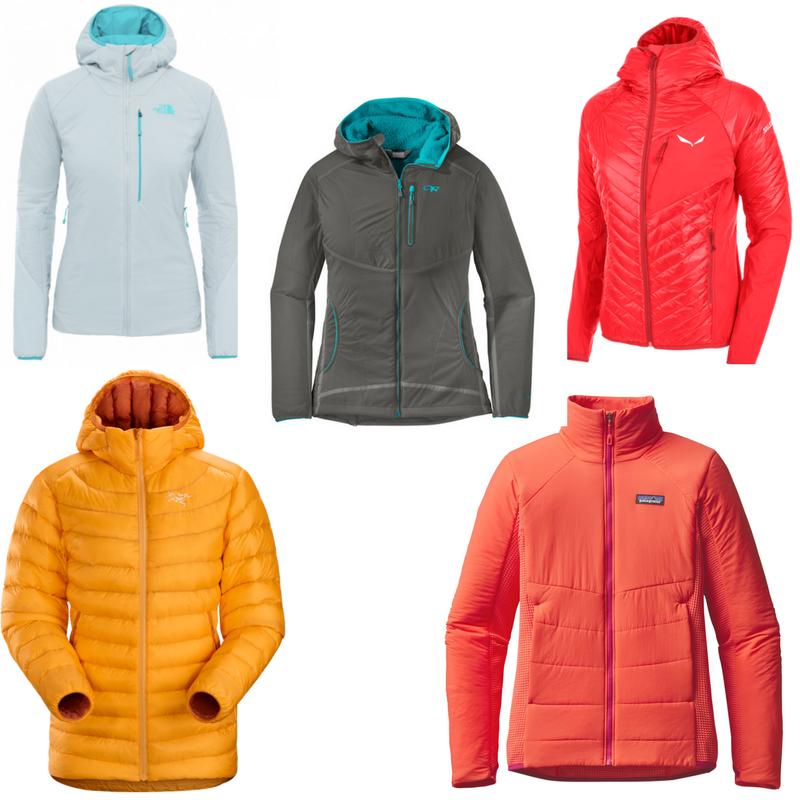 The following five highly technical, lightweight insulated jackets can be worn under ski jackets when riding the lifts and/or used as outer layers on warmer days in the backcountry. They're all super versatile pieces and can be worn for any winter sport that involves raised heart rates on the ascent and chilly descents. No matter whether you're into ski touring, hiking, mountain biking, or climbing, the following insulated mid-layers merit a place in your 2018 winter gear cupboard. We've reviewed them in order of weight - from lightest to heaviest. 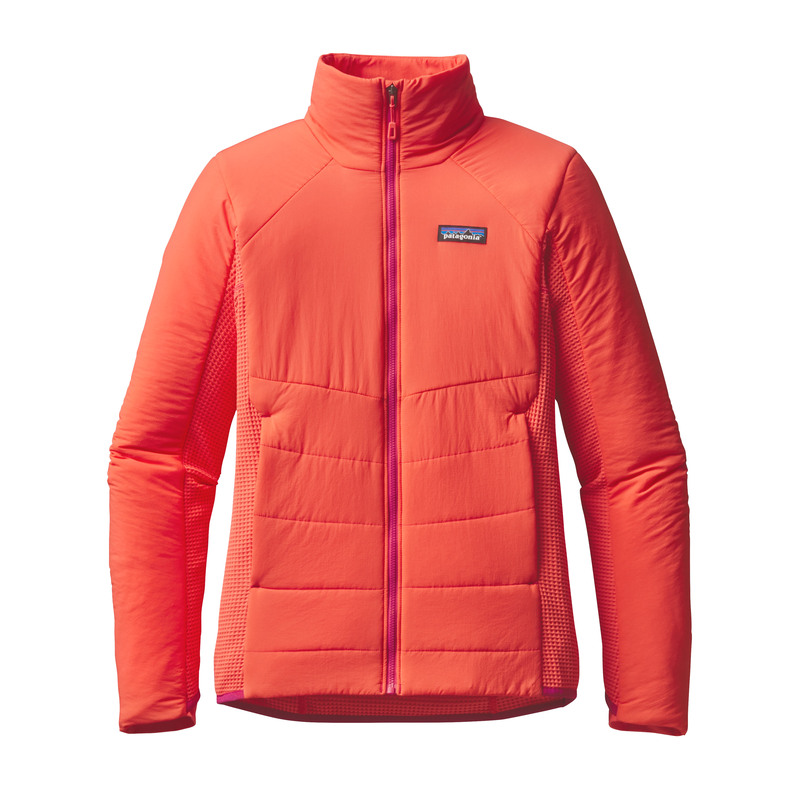 If you’re looking for a jacket in the rapidly growing ‘active insulation’ category, then the Patagonia Nano-Air Light Hybrid is one of the best products on the market right now. The new Nano-Air Light Hybrid Jacket is the lightest (and least expensive) jacket on test, offering a continuous wear solution and aimed at ‘high exertion users in cool conditions’. Simply put, that means anyone engaged in high-energy mountain missions be that alpine climbing, cragging, hiking, mountain running or ski touring. If you tend to run on the warmer side of hot out on the hill then the Nano-Air Light Hybrid will be right up your street. With 40g FullRange stretch insulation, it provides warmth and protection up front where it’s needed but the real difference comes when you turn it over. Mega breathability ahoy. The back and sides of the Nano-Air Light Hybrid are constructed using a knit hybrid fabric that wicks away moisture, helping to regulate body temperature and cool things down when the action heats up on the mountain. The soft, stretchy waffle knit fabric not only delivers excellent breathability, it’s also exceptionally comfortable, offers great freedom of movement and is super tactile. I used the Nano-Air Light Hybrid for a variety of aerobic mountain missions last winter and was incredibly impressed with its performance across a wide spectrum of activities and conditions. 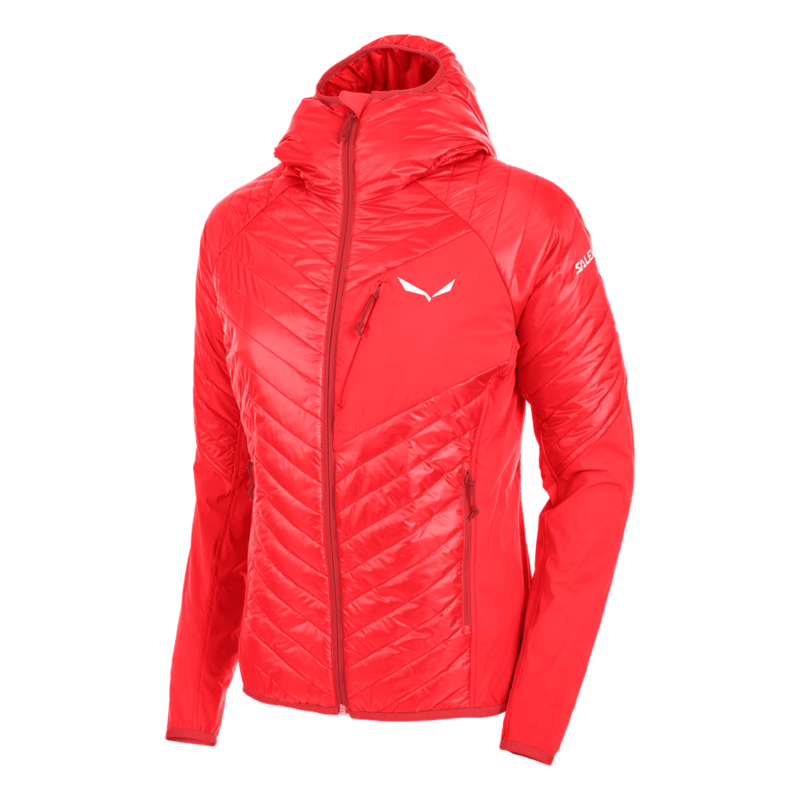 From warm, spring ski touring days in Norway to wild and windy hiking adventures in the Cairngorms, this jacket is incredibly good at getting rid of body heat during a range of high-exertion activities. Arc’teryx have a global reputation for innovation and market-leading quality. The exceptionally well designed, slick-looking Cerium LT Hoody is a lightweight down jacket that offers the perfect warmth-to-weight ratio if you’re looking for an insulating layer for super cold mountain days. 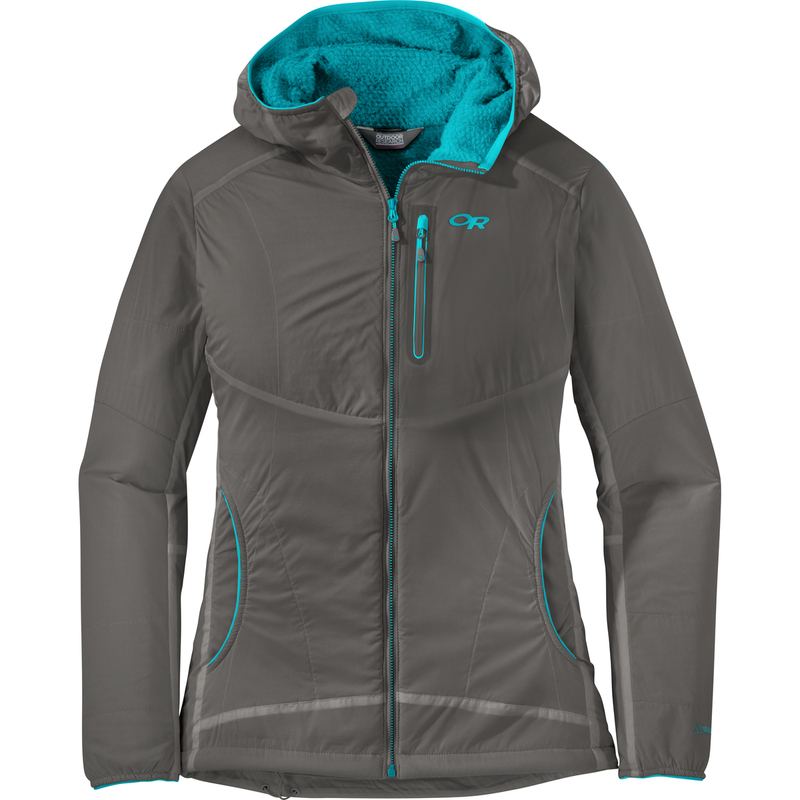 Incredibly warm yet exceptionally lightweight, the Cerium LT weighs less than 30g more than the Patagonia Nano Air but is a far warmer prospect. Whilst Arct’eryx have integrated Coreloft synthetic insulation into moisture-prone areas such as the cuffs, the Canadians have not opted to make the Cerium LT totally weatherproof meaning that it would get wet quickly if you wore it on it’s own as an outer layer on a high precipitation day. Wear it under a shell as intended however and you’ll be as toasty as a toasty thing on toast day in toast town. Combined with a high performance, weatherproof mountain-specific shell, the premium hi-loft 850 power down of the Cerium LT Hoody provides all the warmth you’ll ever need when skiing on a stormy January day in the Alps, Japan, or Scotland. The streamlined fit means it goes on easily under a shell without feeling, or making you look like you’re the Michelin man and the articulated construction allows you to move so naturally that you’ll barely notice you’re wearing it. The insulated StormHood is easily popped up over a helmet when things get wild and really helps to keep you warm on those truly epic mountain days. It also packs down into it's own integrated stuff sack so is easily shoved in your pack if the temps warm up a tad. Pros – Excellent warmth to weight ratio. Choice of 7 great colours. Seattle-based Outdoor Research have a well-established reputation for producing top quality, no fuss, fit for purpose mountain gear and the new Ascendant Hoody is another perfect example. Durable, lightweight, weather resistant, cosy and incredibly breathable, the women's specific Ascendant Hoody is active insulation at it's best. Weighing in at 290g in a Women's UK size 10, the Ascendant is both impressively lightweight and cosy as all hell. With 95g of pioneering Polartec Alpha Direct insulation, the Ascendant manages your body temperature like a pro. If you haven’t heard of Polartec Alpha Direct, it’s basically fleece on steroids – a low profile, lightweight technology that keeps you toasty when you need it while simultaneously allowing your body to breathe when you’re in active mode. The no mesh liner ‘Direct’ version of the original Polartec Alpha translates into both improved performance in terms of breathability and increased comfort as it feels super soft against your skin. One of the elements that impressed us most about the Ascendant was the stretchiness of the 20D 100% nylon weather-resistant Polartec Microlight ripstop woven shell. Many jackets claim to offer unrestricted freedom of movement but the Ascendant really delivers. Every movement felt natural out on the hill whether skating and poling along long flat sections of piste, stretching down to stuff layers into a pack or going through the routine of transition on a ski tour. More breathable but a little heavier than the Arc'teryx Cerium LT.
Pros – Super stretchy. Polartec Alpha Direct has super soft, comfy feel. The Salewa Ortles 2 Hybrid PRL Jacket is pure class. From the targeted warmth provided by 60g of Primaloft Silver insulation on the body and hood to the super durable Durastretch Powerlite on the sides, chest pocket and lower arms, the Ortles 2 Hybrid is packed full of premium design and tech features to facilitate speed and efficiency in the alpine. Whilst not the lightest jacket on test, the Salewa Ortles 2 Hybrid is a versatile piece that works perfectly as an outer layer on winter ski tours and can double up as a mid-layer to be used under a shell when you’re riding the lifts in resort or when the weather turns up the burly notch. The insulated fitted hood with high collar provides a soft and warm place to hide when the wind blows and the front zip with internal full-length windproof flap ensures your core stays cosy. The stretchy, lightweight and durable Durastretch Powerlite fabric facilitates freedom of movement while simultaneously keeping rips and tears at bay and the DWR (durable water repellent) finish offers further protection when required. The fact that the Salewa Ortles 2 is Bluesign approved just makes it even more brilliant in our opinion – a truly excellent jacket designed for fast and light winter mountain missions with minimal environmental impact. Pros – Targeted insulation. Distinctive and choice of bright colours. The Ventrix Hoodie is designed to deliver the very best in breathable synthetic insulation. Featuring TNF's brand new Slit Insulation Technology (aye aye), the idea is that it regulates body temperature via ventilation laser-cut holes that are ‘body-mapped into high-perspiration areas’ – ie under the arms and between the shoulder blades. Basically these holes remain closed when you’re standing still but open when you start to move. By reducing the need for constant layer shuffling, this dynamic venting is designed to help you move faster and more efficiently in the mountains. With 80g of Clomax MoveFree stretch insulation, the Ventrix will keep you warm on the coldest of days and the DWR finish will keep light precipitation at bay. 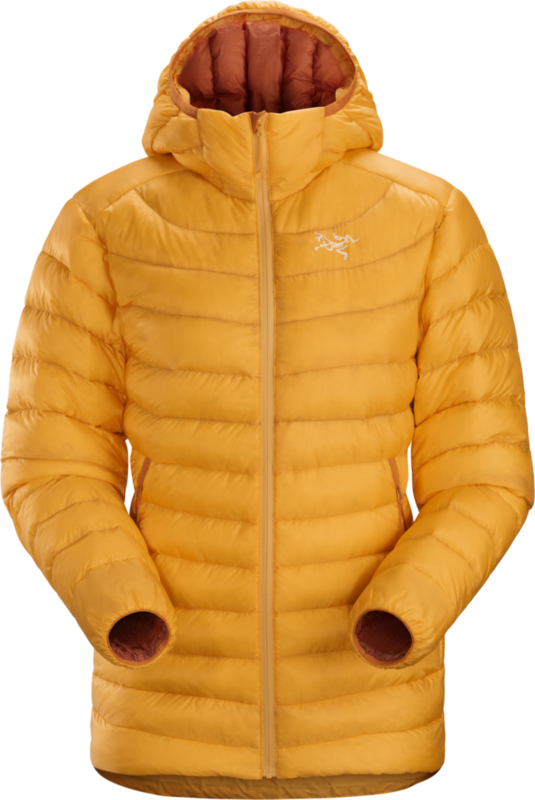 At 440g, the Ventrix was the heaviest jacket we tested and will work well for those who struggle to stay warm on the mountain - the flipside of this is that you you may find it a touch on the toasty side if you run on the hotter side of sweaty when moving at speed. Overall the Ventrix is a great mid-layer for cold mountain hikes with raised heart rates or chilly days in resort when you work up a sweat on the down but can chill out pretty fast when riding the lifts. Pair it with a decent, roomy high performance shell jacket and you'll have all bases covered.